Request your reservation today or call 361-765-4583 for more information. Call us now for April Specials! Book 2 weeknights get the 3rd weeknight free ! Candlelight Cottages by the Beach are Rockports best kept secret. They come fully furnished and have fully equipped kitchens. Daily, weekly and monthly rates available. Observation Deck, that has views of the Rockport waterfront, covered patio area with BBQ pit, tables and chairs. We also offer in addition to our 1 bedroom cottages, a 2 bedroom cottage with views of the Rockport waterfront. The cottages are conveniently located across from Rockport Blue Wave Beach Park and Ski Basin. We are located in a very quiet neighborhood and conveniently located to all the amenities beautiful Rockport has to offer. We are also walking distance to the Rockport harbor, fishing piers and new aquarium. Centrally located to the downtown gift shops, banks, bakery, restaurants and Rockport's local grocery store. We hope that a stay with us will evoke both luxury and style and leave you wanting to return soon. We know that traveling can be stressful at times and our goal is to make your stay at Candlelight Cottages a relaxing and memorable experience. Call us today to book your vacation getaway! 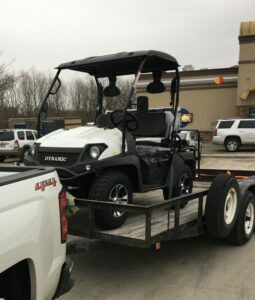 GOLF CART RENTALS COMING SOON! EXCLUSIVELY TO CANDLELIGHT RENTERS!